A native Californian, Campbell started playing cello at age nine, surviving disappointment that it wasn’t a trombone. (He later found out about an arrangement between the music teacher and his mother.) He formed his first “group” at age 12, playing bass parts on cello with a Dixieland combo because they had both the music and the trumpet player. Adolescence brought a guitar into his life, and soon a garage band. The world of Rock and Roll opened up the pop music of the early 60s, then the Beatles, Grateful Dead, Doors, Butterfield Blues Band and more came as well as the folk music of the 60s–Joni Mitchell, Joan Baez, Bob Dylan, Taj Mahal, and the jazz of Dave Brubeck, Stan Getz, Tom Jobim and John Coltrane. It was the Bartok 4th String Quartet that drew him into the string quartet world as a college student. The music of Ravel and Debussy, as well as the classics of Beethoven, Haydn and Mozart parted the waters for him. He joined an avant-garde string quartet in San Jose playing George Crumb’s “Black Angels” and a wide array of works by West Coast composers. Hooked on chamber music he got serious about getting better. He credits his teacher in Berkeley, Margaret Rowell, for fine tuning his cello technique. He left California to pursue more training with George Sopkin of the Fine Arts Quartet in Milwaukee, Wisconsin. More chamber music followed, as well as orchestra playing with the Milwaukee Symphony and Milwaukee Ballet Orchestra. On his way to New York, he took a job teaching at Interlochen Arts Academy in Michigan, and playing chamber music with the Interlochen String Quartet. Friends got him playing with a Celtic music band- back to his roots of improvisation. What followed has been a progression to old-time music, Delta blues, tango, choro and jazz. His voice on the cello lives somewhere between the classical art song and Stephane Grapelli, with a dash of Frank Zappa. A lyrical, burnished sound and deep expression are what defines Cris’ cello playing. Campbell’s latest improvisational efforts involve duo concerts with Eugene Friesen (cellist at Berklee College of Music), the Neptune Quartet, sitting in with fiddler Jeremy Kittle, and numerous other Michigan musicians. He continues to perform chamber music with his Interlochen colleagues. 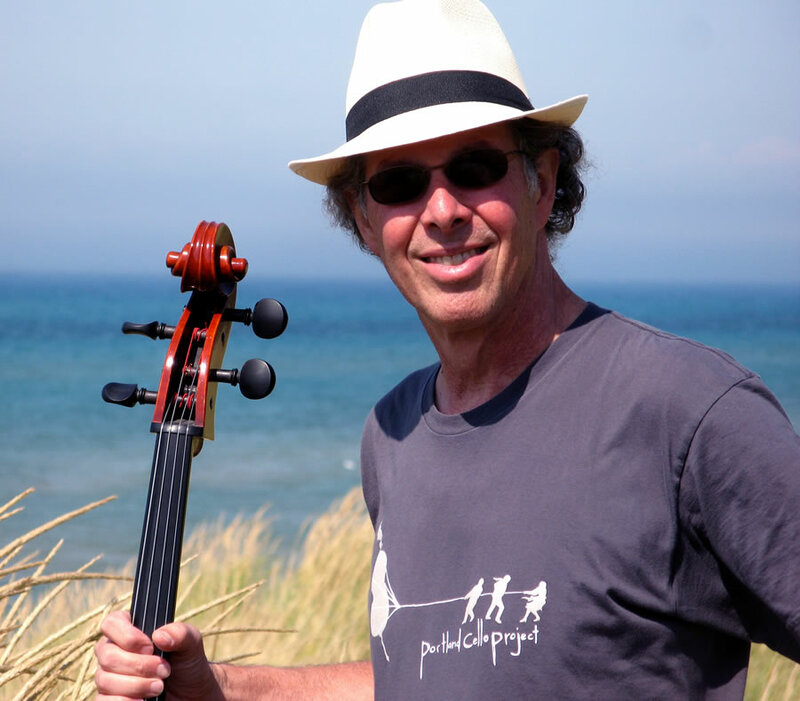 His years teaching at Interlochen Arts Academy have made him a mentor to many young musicians- cellists primarily, but other string players and pianists in love with chamber music, as well as singer/songwriters. His work with the Colombian national youth orchestra, Filarmónica Joven de Colombia as well as similar projects in Costa Rica and Bolivia have taken him to Latin America numerous times. Campbell’s nature is one of generous engagement: he loves sharing what he knows and feels about music. As his former teacher Margaret Rowell, in Berkeley, California said about her own work: “I don’t teach the cello, I teach the person.” This is central to Cris’ teaching philosophy. Campbell, a 30 year faculty member at Interlochen Arts Academy, considered one of the leading arts schools in the United States, is well known as a performer throughout North and South America. He has taught at the NHSMI summer program at Northwestern University, Evanston Illinois, and is a frequent guest artist for the Fundacion Batuta, a national music program based in Bogota, Colombia. He was the founder and Artistic Director of the Manitou Music Festival in Michigan, a chamber music and jazz festival. His recordings with the Neptune Quartet and Christian Matjias have been featured on NPR’s “All Things Considered”.